Get the new issue of MOJO now for this month's candid, career-spanning interview with the punk pioneer. 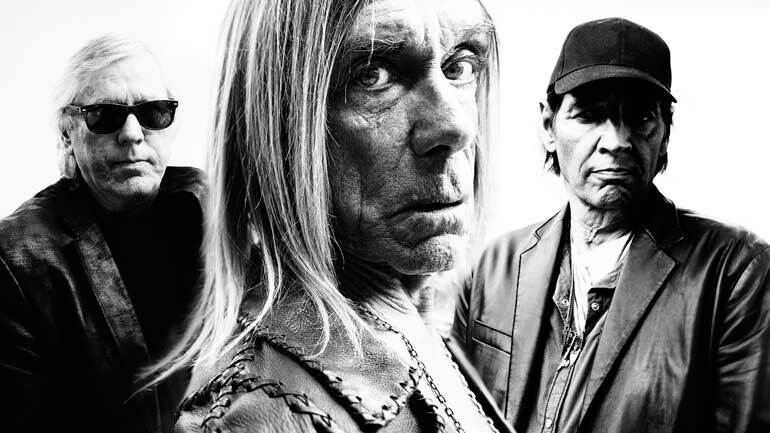 HAVING FORMED A new band of brothers for his forthcoming album, Iggy Pop has also spoken candidly to MOJO about his bond with a different set of rock’n’roll siblings: The Stooges. Though looking ahead to new record Post Punk Depression – created with members of Queens Of The Stone Age and Arctic Monkeys – the punk prophet surveys his entire career in our latest issue (April 2016 / #269), on sale in the UK now. Speaking about his Stooges bandmates, brothers Ron and Scott Asheton, he discusses the relationships which fuelled their creativity. He describes the other Asheton, Scott, as somewhat more inscrutable. Don’t be an Idiot; get MOJO now for the full, emotional interview with Iggy, including how David Bowie “salvaged” his life, the inside story of the new record and the singer’s painfully honest reflections on his career. Plus: this month’s issue comes with an exclusive free CD, Gimme Danger: A Desert Rock Compilation, which was created in association with Pop’s latest collaborator, Josh Homme. The bespoke collection was curated by the QOTSA leader and features 14 outlaw rock tracks, including an exclusive release from Post Pop Depression itself, plus some raiding of Homme’s own Desert Sessions archive.